Do you ever wonder if it’s better to focus on habits or goals? 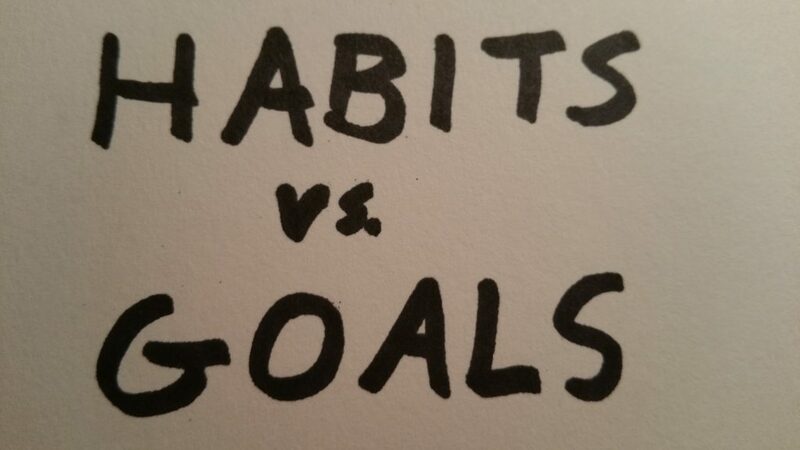 For the longest time I was more into goals than habits. I’d dream big and write down things I wanted to do like: quit my job, buy a house, summit Mt. Rainier. I like goals because they inspire me. But then I started to get too obsessed with the “process” of goal setting. And somewhere along the way, the goal setting process became what it was about more than the actual goals/dreams.